There’s a new power couple in Las Vegas – David and Jacqueline Siegel. The Orlando timeshare king has expanded his Westgate Resorts portfolio with the purchase of the Las Vegas Hotel from Goldman Sachs, for a price tag believed to be somewhere around $150 million to $170 million. Las Vegas real estate changes hands frequently, but the arrival of Mrs. Siegel is the really big news. Jacqueline Siegel (and her husband and eight children) were the subject of a highly entertaining, well-received documentary, THE QUEEN OF VERSAILES. The documentary, directed by Lauren Greenfield, won the U.S. Directing Award at the 2012 Sundance Film Festival, and the film-critics aggregator Rotten Tomatoes, which carries Victoria’s film reviews, reported 95% of critics gave a positive review. The film followed the family as construction began on their mansion, called the Versailles House, modeled on the Palace of Versailles. Located on the outskirts of Orlando, it will be the largest single-family detached home in the United States when completed. However, like Las Vegas real estate, Siegel's company was badly affected by the Great Recession in 2008. 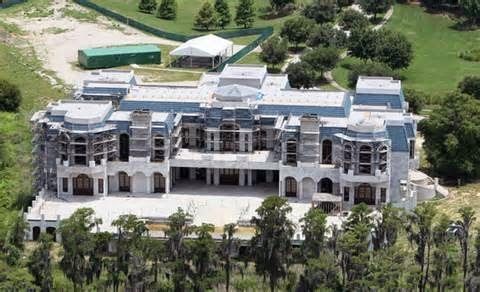 THE QUEEN OF VERSAILES follows the family as the economic downturn affects them and construction of the 90,000-square-foot palatial home in Orlando, Florida, is halted. What made the Queen of Versailes so interesting was the enchanting Jackie Siegel. Another mega-house has since made the news – Pensmore, Steven T. Huff’s 72,000 square feet of living space that includes 13 bedrooms, 14 bathrooms and enough amenities to entertain a small city. The secrecy around Pensmore – is it being prepared as a home base for visiting E.T.? - is currently gathering all the news. But Pensmore doesn’t have a Jackie Siegel. Behind every great man there is a woman and in this case there is a majestic woman called Jackie Siegel who is the quiet force behind David Siegel. As the mother of eight children, who she says are down to earth, she takes an active role in their daily lives starting early in the morning getting all of them ready for school. Jackie is a good person with a good heart and along with David works with over 100 charities to help people. In 2012 a documentary was made “The Queen of Versailles”, which won an award for best director at the Sundance Film Festival. It showed the building of their new home which will be the biggest house in America, even bigger than the White House. This 90,000 sq. ft. home will have 30 bathrooms, 15 bedrooms, a skating rink, 30 car garage, three pools and a grand ballroom to hold huge events. No typical day is the same for Jackie and she also is curating the décor of their new house and is planning a fabulous home office for herself. It will certainly be the mansion’s show-stopper-she plans on installing a shark tank. The sharks will have the finest care as a house member with its own caretaker provided by Sea World. 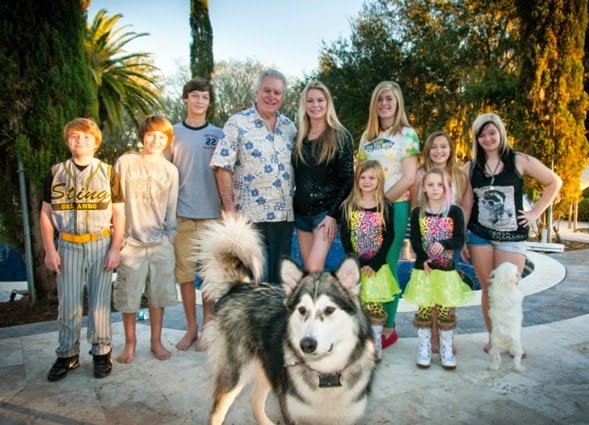 Versailles will be a family friendly home, with some of the staff to help run the house and take care of 10 dogs. Many of these dogs were brought home by the children from dog shelters to save their lives. Jackie flies back to Las Vegas every other week with David and has a great observant eye in the developing changes of the Westgate Resorts. She is planning to open up a gift shop in the hotel that will feature the Queens Treasures and everyone can then enjoy the treasures and feel like a Queen. We met Jackie at Westgate at the media event for the Elvis Presley Museum. Jackie arrived promptly with a gentleman from Los Angeles, who flew to Las Vegas to meet Jackie. He said he was a producer of reality programs. Jackie talked with us for an hour. It is her charm and openness that has not become jaded by her enormous wealth. In fact, there was never a hint of privilege as she answered our questions about their current home (it’s on an island), their4 planes and their staff. Victoria was especially interested in how Jackie ran the household. She said they have five live-in staff and a rotating staff numbering 30. Victoria forgot to ask if the Versailles House will have a Mr. Carson and, like Downton Abbey’s Lord Grantham, does Mr. Siegel have a butler named Mr. Barrow? Jackie Siegel, once a media innocent, is now taking control over her image, as the demand for her has increased since the release of THE QUEEN OF VERSAILES. No longer will a reality-star neophyte, Jackie will soon appear on Celebrity Wife Swap. She is contractually forbidden to mention who she spent a week with, except to say David was happy and so was she! We couldn’t get her to give even the first initial of her stand-in husband. Up next Jackie-who is young, beautiful and is not someone easily overlooked, will be judging a Drag Queen Contest. We forgot to ask what David planned for his office. Now ensconced as the Chatelaine of Westgate, Jackie flies to Las Vegas every other week with David and has a great observant eye in developing changes to the newest jewel in the Westgate portfolio. Jackie is planning to open up a special boutique shop in the Westgate that will feature a Queen’s treasures. Photojournalist Nikki Artale and movie critic Victoria Alexander come together to interview the extraordinary people of Las Vegas. They are longtime friends and colleagues as well as writers for the Las Vegas Informer. Being extraordinary themselves, they have a mutual interest in the eclectic array of people who call Las Vegas their home. Nikki first called Las Vegas her home in 1995, arriving from New Jersey as a successful real estate broker. No stranger to the silver screen, on both ends of the camera, she found Las Vegas and its infamous nightlife and entertainment scene the perfect outlet for her extroverted personality. Nikki captures her love of Las Vegas and its performers in her popular column, Vegas Stars. Victoria has been reviewing films since 1995. 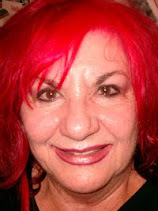 She is a member of both the Broadcast Film Critics Association and The Las Vegas Film Critics Society. When not at the movies, Victoria and her husband John travel to exotic locations. She has been to over 60 countries (and counting.) Having lived in both Santa Fe and New York, she comes to Las Vegas with an adventurer’s heart and a love for the extraordinary.